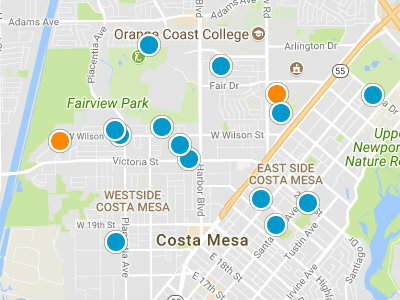 Custom Homes North are located in the Mesa Verde section of Costa Mesa. Custom Homes North is located right next to Mesa Verde Golf Course, giving homeowners’ fantastic fairway views. There are homes that back the golf course and others that do not in this community. This neighborhood was developed between 1965 and 1967. This is an established neighborhood, which rarely has homes for sale in the Costa Mesa real estate market. Many homes have been remodeled and updated in recent years. The square footage of houses in Custom Homes North ranges from 2,300 square feet to 3,000 square feet. Custom Homes North is known for their large yards, many with pools and lush landscaping. 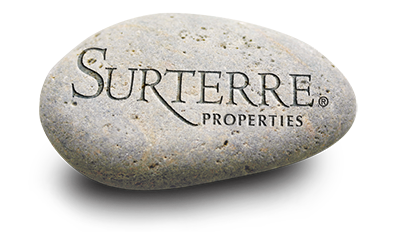 Homes in this upscale neighborhood range in price from 650,000 dollars to 1.2 million dollars. In addition to being within walking distance of the golf course, residents can also walk to the tennis center. Residents are within walking distance of Fairview Park, schools and local shopping. They are also within biking distance of the beach.